Whatever it was called, drawing had always been fun for me. Casual drawing was something of a sideline, because architects and architecture students knew that drafting was the serious pursuit, the most formal language we had for conveying our ideas. Drafting is drawing that utilizes tools (t-squares, triangles, French curves, compasses, stencils, etc. ), to generate precise lines. I was involved in architecture in the late 1980s, when most drawings were drafted by hand with pencil or India ink. Computer Aided Drafting ("CAD," with a second D added for Design later) was relative new, and tedious enough that we had trained CAD operators at firms to input our drawings as we moved toward the construction drawing phase. Drawings are tools used to express design, the idea behind the drawings. Architecture of that time utilized many types of drawings: while the terminology varied, any given design was first expressed conceptual sketches, then schematic sketches (which might come first, depending on the complexity of the building's planned uses), conceptual design drawings, renderings (to help the client agree to the final design; often painted in watercolors by professional renderers to make the building look GREAT), physical models (often also done by experts in the final stages), drafted drawings nailing down the finer details of the project (using Zip-A-Tone adhesive films as fill), and often "final" CAD drawings, which would be stamped by the architects, engineers, and authorities, and then duplicated through the Diazo process for the construction teams to use in the field. Design is a lot of work! It is a rewarding process, however, as the design is refined in each stage. I sketched for school, and sometimes sketched for fun. Freehand (non-drafted) drawings were not well-received beyond the conceptual stage, however, and so I set drawing aside much of the time, and fell out of practice. I dabbled in it again on and off after leaving architecture, but set it aside in favor of photography in 2004, when I began an especially deep study of photographic media and processes, and believed I couldn't spare the time. I've missed drawing terribly. So it was wonderful to take a new pencil in hand and just DRAW. Speaking with my friend M (who has known me since 2005), she was surprised. "You draw? I think of you as a photographer." During the time she has known me, I have studied photography to the exclusion of all else. But I can do more than that. That's... quite a bit of art-supply-related fun. 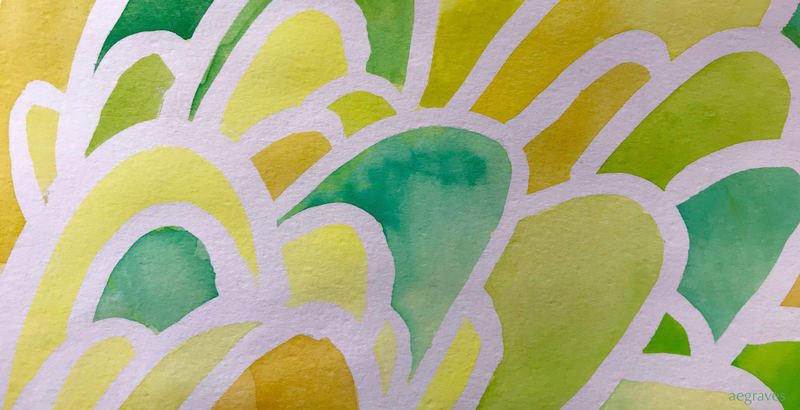 In U.S. culture, art is often seen as an all-or-nothing game: either you are professional and making money (all hail the flat green religious icon of the almighty dollar), or you shouldn't bother making an effort to create things at all. I find that attitude to be unhealthy: creative work is a way of experiencing the world, not merely making money. 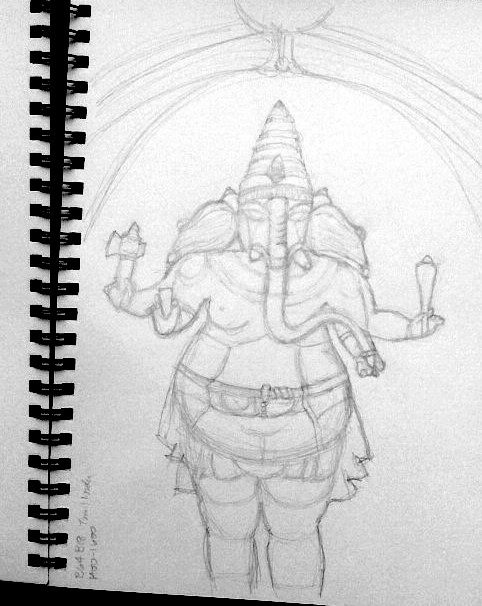 I know that Ganesha statue now in a deeper way than I did before attempting to draw it, and I enjoy the sculpture more for having studied its details. THAT was the point.